This is just one result of endless photographic fascination at an exhibit of light and color at the newly reopened Smithsonian Renwick Gallery. This is a montage built from images collected both inside and outside of the Fine Arts Museum of Richmond. Lots to work with there! 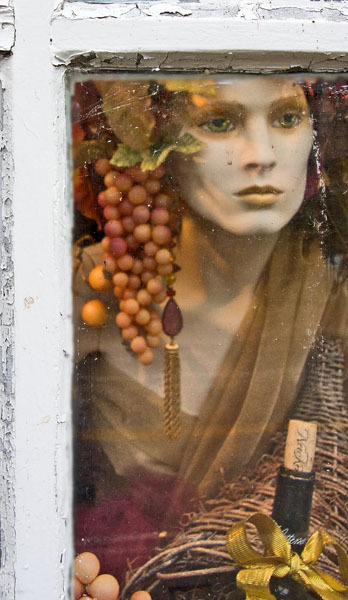 Not much time this week for photos, but here is a quick snap I took of a window dressing in Occoquan, VA. The nice thing about One Photo per Week is that you always need to keep a portion of your mind in photography mode, and you’re less likely to miss images like this one. 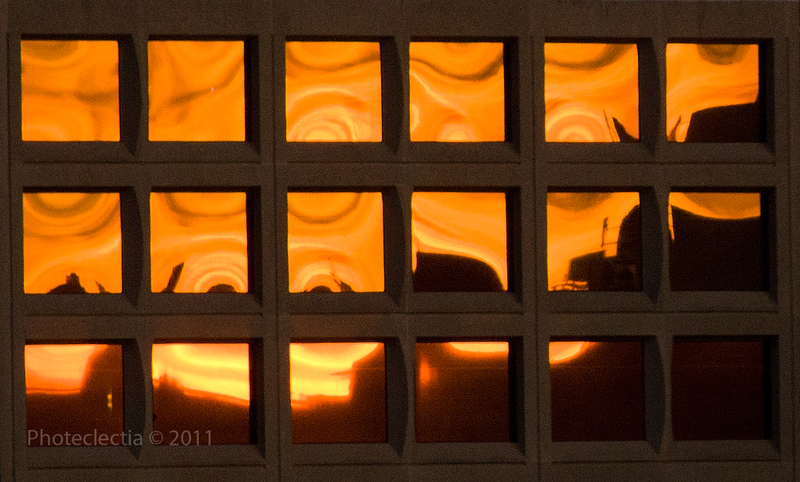 I was walking through a conference room to a kitchen late one afternoon to get tea when I spotted this reflection of a sunset in the windows of a building about a mile away.